Accusing the government of manipulating institutions to "save" Prime Minister Narendra Modi in the Rafale deal, Congress president Rahul Gandhi Thursday said it has spoken of investigating the media over the theft of Rafale documents but has not probed those involved in the "scam of over Rs 30,000 crore". Investigate everyone but probe Modi as well, Gandhi told a press conference, accusing the prime minister of performing a "bypass surgery" in the purchase of the fighter aircraft for corruption, including benefiting businessman Anil Ambani. In defence ministry files, it is written that the Prime Minister's Office carried out parallel negotiations in the fighter jet deal, then why can't the PM be investigated, he asked. The government has constantly rejected the allegations levelled by the Congress with the BJP accusing Gandhi of spreading lies to torpedo the Rafale deal due to his vested interests. Ambani has also rejected corruption allegations. 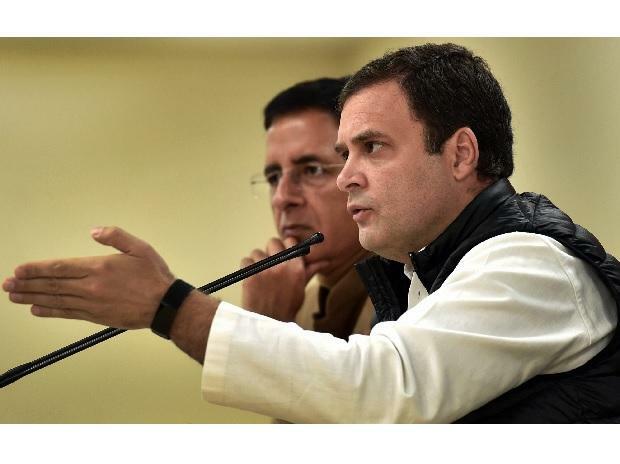 A day after the government told the Supreme Court that the Rafale files were stolen from the defence ministry, the Congress chief took a dig, saying the documents have disappeared like two crore jobs for youths, right price for farmers' produces and the promised 15 lakh for everybody. Targeting Modi, Gandhi said the files have disappeared in the same way as jobs did following demonetisation and implementation of the GST. Hitting back at Modi for calling the Congress a "poster boy" following the Balakot air strike, Gandhi said "it is he who is Pakistan's poster boy, not us" as he noted that the Modi government has got Pakistan spy agency ISI in India to probe the Pathankot terror attack. Modi had also invited then Pakistan prime minister Nawaz Sharif to attend his swearing-in and then went to the country to meet him as well, he said.